After some requests for complete list of the Samsung RV520 laptop drivers, GuruHT.com is proud to share it with you. 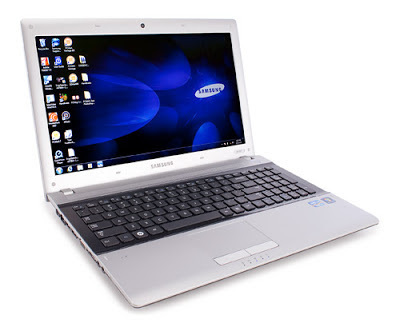 The Samsung RV520 laptop or NP-RV520 comes with an i3 or i5 intel core processor, up to 8GB of RAM, 15.6" LED display, featuring a nice design and affordable price, Samsung provide this laptop with Genuine Windows® 7 Home Premium ready with all drivers, but if you buy a non windows laptop you will find your self using a Dos OS or Linux based one, so to use Windows 7 you must do it your self, and after installing Windows 7 OS the final step is to install all missed drivers correctly so bellow you'll find all needed driver for your Samsung RV520 laptop. Wifi wireless driver for Broadcom or Atheros. If you have any driver still not installed please let me know bellow on the comment with HWid.